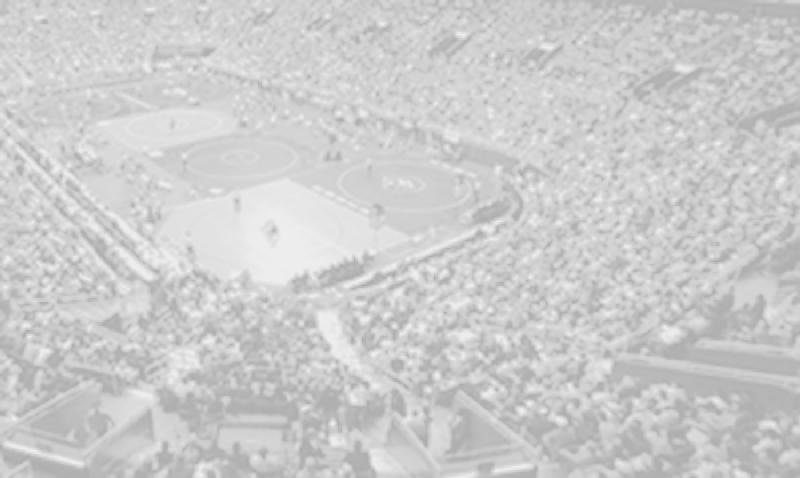 A season ending wrestling campaign such as the AA States wrestling tournament adds fuel to the fire for the best wrestlers from around the state to come together in Salem for one vision in mind, win a state title. But to simply make it to the state finals, you need to fight through your first three matches, and be at your best game. That’s why Fauquier’s Bennett Payne and Evan Oddenino showed Salem that they belong in the biggest show in the last match of the season. No excuses, just win baby as the Falcons were able to be represented by placing 8 wrestlers and maintained a 5th place finish at States. Fauquier Nation has proven faith this season as we now must say good bye to seven outstanding seniors; the tradition continues. The 2012 AA State tournament kicked off with four teams from three Regions across the state wondering who would rest at the top and who would take home the 2nd and 3rd place trophies. With Christiansburg wining their 11th state title spectators drew a closer eye on Brookville, New Kent, Millbrook, and team Fauquier as they all continued to battle each round and moved up the leader board. Fauquier may have finished 5th and behind these teams at day’s end, but advancing and earning the second most individual placements with eight again showed that Fauquier came ready to compete as its own fire was blazing. One would have to look back to the 2008 season under Coach Bryan Hurst where the Falcons placed 9 different wrestlers in the AAA state meet that year with arguments for discussions of these two teams as being two of the best Fauquier teams ever. To be among the top teams on the state leader board and to be in the mix, teams need to bring and advance as many wrestlers to the state meet as possible. Anything short will factor into not matching other Regional teams’ strength in numbers. You could say that this very well may have been the factor that found Fauquier not being able to tally the same point value of the other teams’ participants residing above them. As team Fauquier advanced 9 wrestlers to the state meet, New Kent and Brookville were able to simply advance more wrestlers through their own Regions giving these teams added weight classes to score tournament team points during each round of the AA State wrestling tournament. For seniors Bennett Payne and Evan Oddenino pushing themselves onto the state finals is what it’s all about. To be in the moment and have a chance to win the final match and be named state champion is what wrestlers dream about. But as the evening ended at the Salem Civic Center, both of the Fauquier finalists could not bottle up and win their final senior match of the season as a second place would bear their name. Experiencing firsthand what both Bennett and Evan went through truly must not sit well as the highs and lows come too quick. But these lasting experiences to participate in the finals are the moments which will never be forgotten as they can say “I was a state finalist”. Believe me; State runner-up comes off the lips much more smoothly than a 2nd place finish. For both Bennett and Evan to be able to wear the classic old school Fauquier white singlet, keep the fire going, and be a part of the main event is something special. We should tip our hats to their achievements as everyone would agree that Fauquier has invested much to go another year without a state finalist. Bennett ended his senior season by going 39 and 4 as his career records puts him in ninth with Fauquier’s Career Winning Percentage with 112 and 20 for a 84.85% winning percentage nested right above Fauquier great Greg Flournoy and below Conner Miller. What a place to come to rest. Let’s not forget the other seniors Tyler Budd, Landon Dean, and Jake Raines, who all placed at states and emerged through the season as the leaders on the team. All of these wrestlers had come through the feeder program and can be considered the class that kick started Fauquier’s current youth program. Over the past three years these current seniors have been part of this team’s success. Every time they stepped on the mat during each meet, you knew that you were going to be getting the best from Fauquier. Team standout Tyler Budd would end his senior season in 4th place at States as he led the team this senior season with the most wins with a record of 40 and 5 as his career record reaches 14th on Fauquier’s Career Wins with 115 and 51. How does one go about looking back and reflecting on this season and at the same time wonder where will the future take this Fauquier wrestling community? Only time will tell as Coach Fisher ends his second season as the head coach of the Falcons and one of its best. Much work needs to be done as the coaching staff will regroup and prepare the underclassmen for the road to states next year. This is where Junior Marco Tcheukado and Max Strum who also placed in States with a 3rd and a 7th place finish will work on their game for improvements. 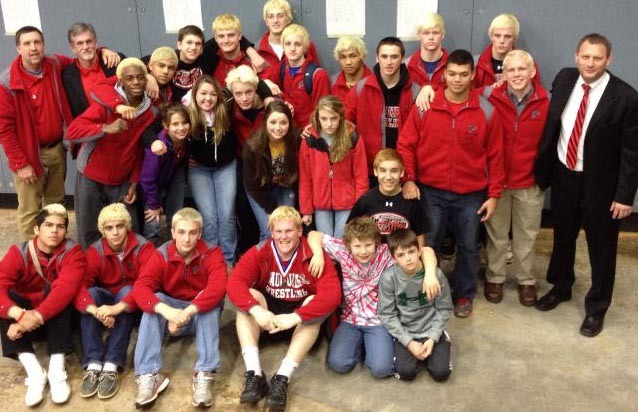 Both wrestlers came on strong though the second half of the season that supported the team’s quest to win. Count on Coach Fisher to look at both Marco and Max as the team leaders next season as they will plan for another off-season training. The AA State tournament brings on much excitement as this season is now closed and the fires are out. Fauquier Nation runs deep as the wrestling tradition continue to be seen on the road at Salem. To have the foundation and the Fauquier Nation people striving to work hard behind the scene to assist and ensure that all Fauquier wrestlers’ visions become obtainable may be considered why Fauquier is looked at with resilience and fortitude. Or, may I say determination again as to be a wrestler for the Fauquier Falcons during this era should mean something special to everyone. The building of this wrestling program has taken some mean hits over the years as Fauquier has battled through them all. To continue the success of a seventh straight district championship and winning its third Region II title is a testimony of the toughness that is bred. Coach Fisher and Coach Wells will have to re-group and raise once again more quality Birds O Prey ready wrestlers. For those seven seniors who now have to start a new chapter we wish them the best of luck as they will be sadly missed. For the new crop of Fauquier wrestlers that plan to make their own mark on this sport and this program we sit eager to wait for the next Fauquier State Champion; could it be you. Below are Fauquier results at the AA States. Note: Fauquier place 8 wrestlers as the team earn 5th place status. Note: Fauquier goes 1-1 and picked up 4 points. Note: Fauquier goes 1-0 and picked up 2 points. Note: Fauquier went 2-1 and picked up 3 points. Note: Fauquier went 2-1 as Marco Tcheukado and Tyler Budd will wrestle for 3rd placement. Note: Fauquier went 2-2 and will have Bennett Payne and Evan Oddenino in the AA State Finals. GO FAUQUIER NATION. 106 Marco Tcheukado won by pin over Kyle Montague-Warren Co. Note: Fauquier went 1-3 as Marco Tcheukado will wrestle for the consolation semi-finals as the other three wrestlers will battle for 7th and 8th place. Note: Fauquier went 4-1 and now have 8 wrestlers that will place as all will continue to wrestle tomorrow. Falcons earn 10 points this round. Note: Fauquier is staying strong. The Falcons went 4-3 and picked up 21 points. Note: Fauquier went 2-0 and earned 5 points this round. Note: Fauquier went 7-2 with 2 OT matches that were come from behind wins. Fauquier team score is 15.